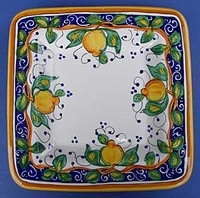 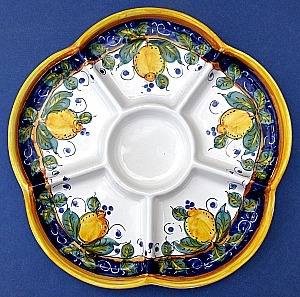 This mediterranean style Limone Italian ceramic serving platter is ideal to serve appetizers, antipasto, pizza, cake and bite size desserts to your family or guests. 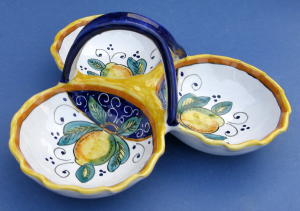 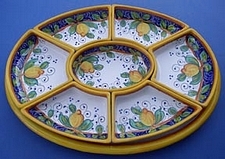 Made in the Umbria region of Italy, famous for Italian Majolica Ceramics and Pottery. 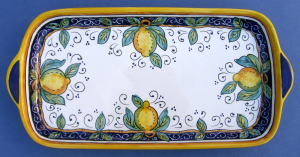 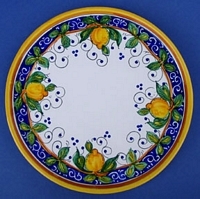 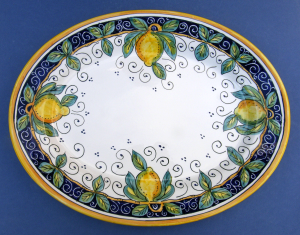 This handmade hand painted authentic Limone platter measures 11.5" in diameter.